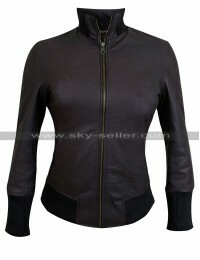 Leather jackets are usually associated with men, but women also love to wear them. 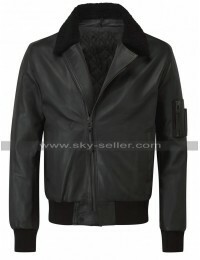 Leather jackets are stylish, trendy and always in fashion. 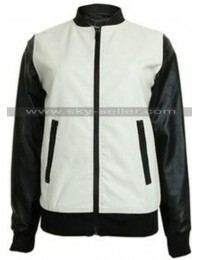 They are comfortable to wear and can be worn during the day at in evening as well. 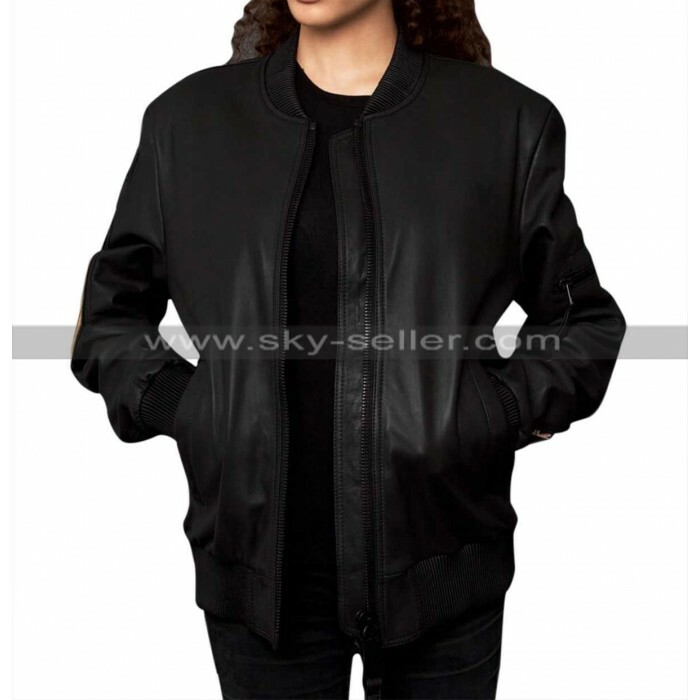 That is the reason, we bring this bomber leather jacket for the ladies. It is black in color and has comfortable viscose lining. 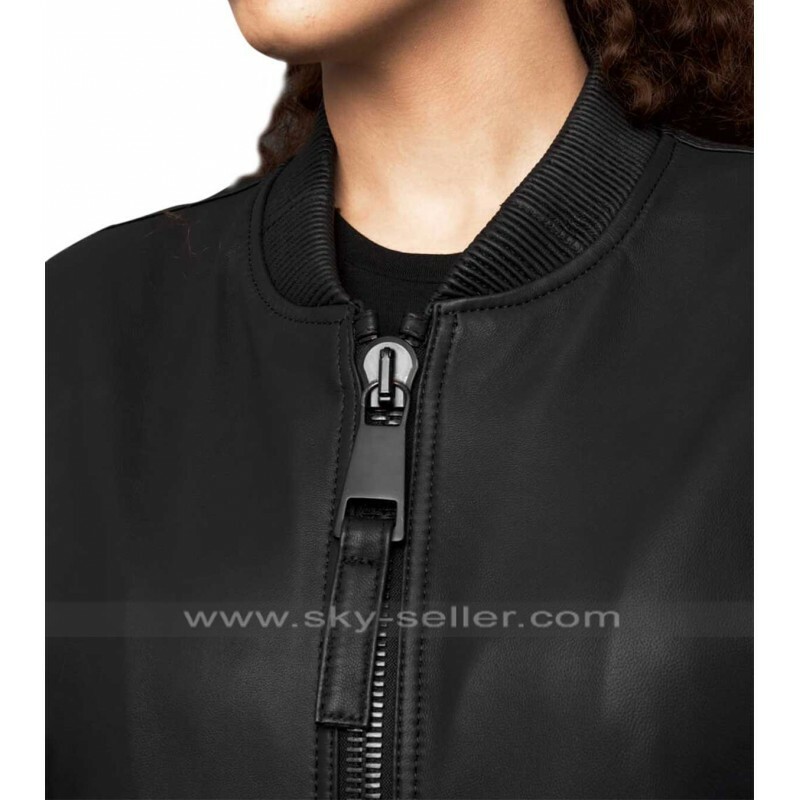 The front has zip closure and zip is larger in size and very strong too. 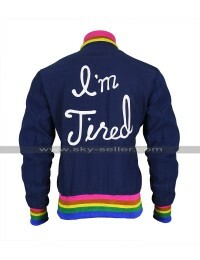 It has no pattern and embellishments at the front for the classy look. 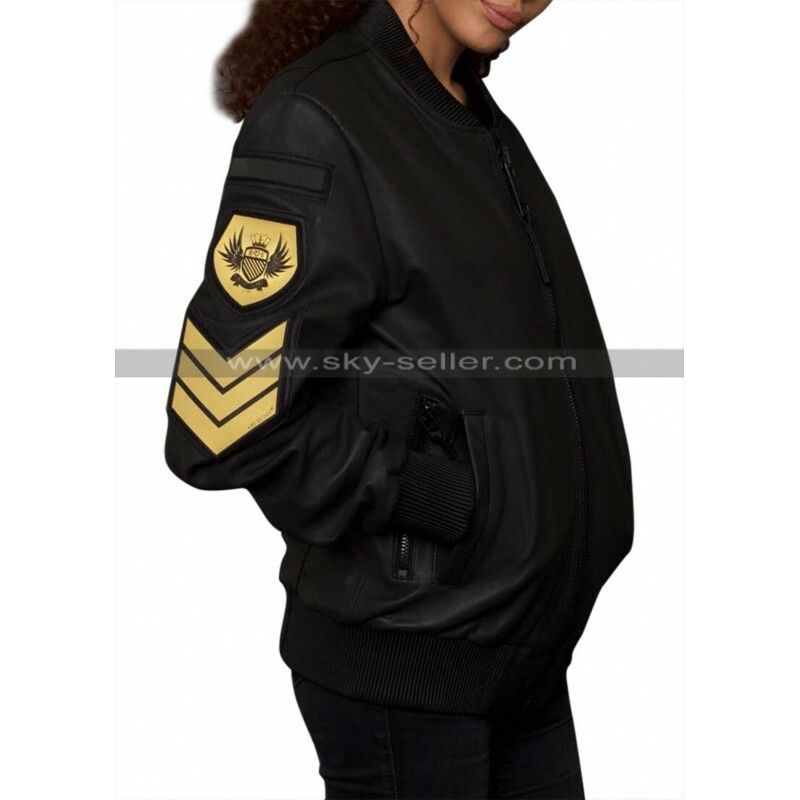 A military sign on the upper half of the right sleeve, give it a bomber look. we can see a zipper on the left sleeve as well. Two side pockets are for the comfort of hand and they have zips beside them. 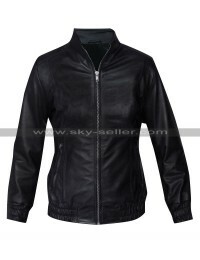 It is manufactured with very soft leather, which make it perfect to wear for all day long. 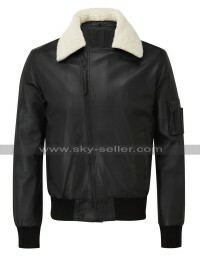 As its in black color, you can wear it with any pair of pants or trousers.